Thank God its Friday right? Even though we had a break yesterday, its not enough at all, coupled with all the bad news one is hearing. This thing don tire me o, people dying every week in this country. So sad! May their gently souls rest in perfect peace. Amen. First of all, it cleanses my mouth and esophagus. Its just like cleaning your kitchen drain when its clogged with fat and gunk from the previous day. When you flush it with hot water soap what happens? It helps with bowel movement. It aids digestion. 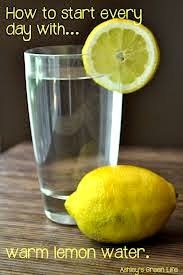 Any day i forget to take lemon water, i feel it!! When it comes to weight loss, constipation becomes your number 1 enemy trust me. It only means one thing. Lol. Let me just leave this one for another day. As long as i take my lemon water, cold, cough and catarrh are far far away. And its my instant remedy if i do feel the itch of soar throat. I just mix 2 spoons of lemon in hot water with a spoon of honey and then drink before i go to bed. By morning i feel much better. Lemons are loaded with Vitamin C.
Did you know that vitamin is good for the skin? Ok it is. Like i said lemons are loaded with it. I am not sure if i mentioned this, but when i was on the diet, i peed a lot, i got rid of a lot of water weight. No, its not just because i drank a lot of water, but because i took some diuretics like lemons and coffee. 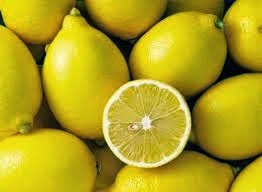 Lemons, encourage the release of toxins in the body and you know urine helps get rid of toxins. This is one of the major reasons its great for weight loss. Guess what? you can use lemons to cook your meat. Beef or chicken, it gets the meat to come out soft and succulent. Hahahaha! 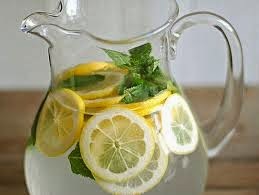 Lemon water can be taken in the morning or last thing at night. (this is my opinion). This is just a few reasons why we should drink lemon water, it has loads and loads of benefits, that's why i think lemons are quiet expensive. When i first started my weight loss journey, i used to buy 100% lemon juice in a bottle, but the shop that i buy from recently closed down so, i had to go for fresh (foreign) ones, they are yellow in color. The fresh ones are quite expensive though. They sell for about 1200 naira for 4 Lemons @ shoprite. There is also the local ones which are green in color that are very much cheaper but kind of hard to find. I don't know about you, but if i am buying expensive lemons, i would want to use them wisely, don't you think so? 4 lemons last me about 1 week. Cut and squeeze the juice of about 2 lemons and store in the fridge, that should last you about 2 to 3 days depending on how often you take them. 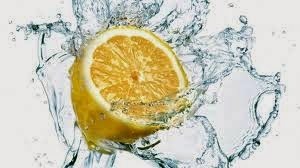 Use half of 1 lemon in the morning, tie up the other half in a kitchen wrap or zip lock, then store in the fridge for, use it up on the following day. Make sure the fridge is switched on constantly. Mix a tbsp with a full glass of warm water in the morning. Add a tbps to your green tea. Add a tbsp to a mug of hot water and mix in some honey for some after dinner refreshment. I'ts always advised to ask your doctor first if you have any health conditions. E.g If you have ulcer i personally don't think you should be trying lemons or any fruit that's high in acid contents. If not, lemons are good for everyone, just make sure you dilute with lots of water and enjoy. Take care and God bless. I attest to the efficacy of lemons. They did me good when I started my weight loss journey. I used mix mine wit apple cider vinegar in warm water. I stopped for a while but I have resumed again cos I need to shed another 4kg. Sure Zeebaby I trust u. Just keep going dear, the 4kg must obey. Lol thanks luv. Aww do try it for the whole fam. Add some honey for the kids then mint in urs. U can enjoy it in many ways. And yes the peel releases oils that are great for the body and skin. The aroma is heavenly. Just allow them to infuse in warm water for about 5 mins. Thwn add more water if u like. Thanks for commenting. No dear. Lime is harsh and isnt as effective as lemons.